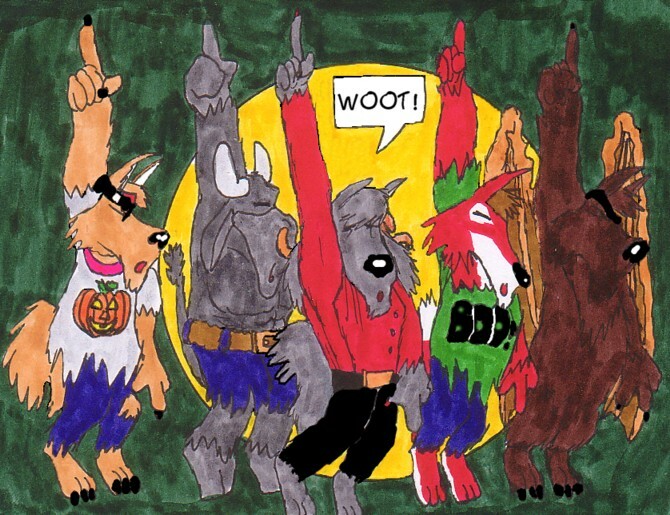 Here's my HOWL-oween picture. 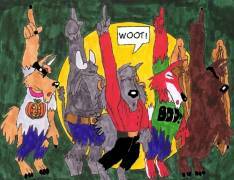 It's Confused and her pack doing the THRILLER...zombie werewolf style. WOOT! Welcome to The Werewolf Cafe's October full moon phase! This month's full moon is called the "The Full Hunter's Moon" (this name is due to the hunting season at this time of year). HAPPY HALLOWEEN! Due to past tradition, The Werewolf Cafe will remain open all the way through the Halloween holiday! We hope you are enjoying the brand "new" Werewolf Cafe website (which was launched at the September full moon phase). There will be even more new features in the months to come.